I was absolutely exhausted that I didn’t even hear my alarm. I was in total deep sleep – which I think I needed! Day 2 started off with breakfast from across the streets again, which suited me fine! We still got some bau’s but different ones. 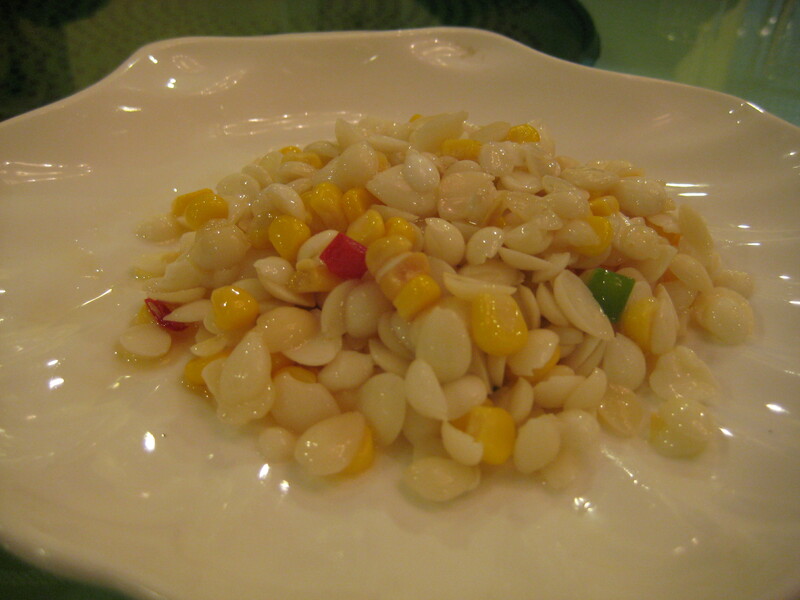 The one below is made out of rice with pork and vegetables, it was a little spicy but GOOD! 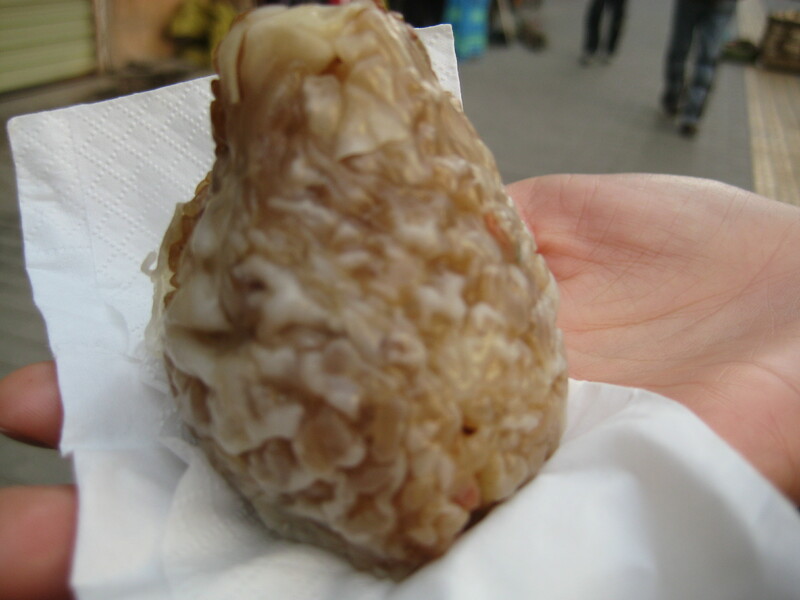 We also got some pastries with pork, which was a favourite amongst the travelers! 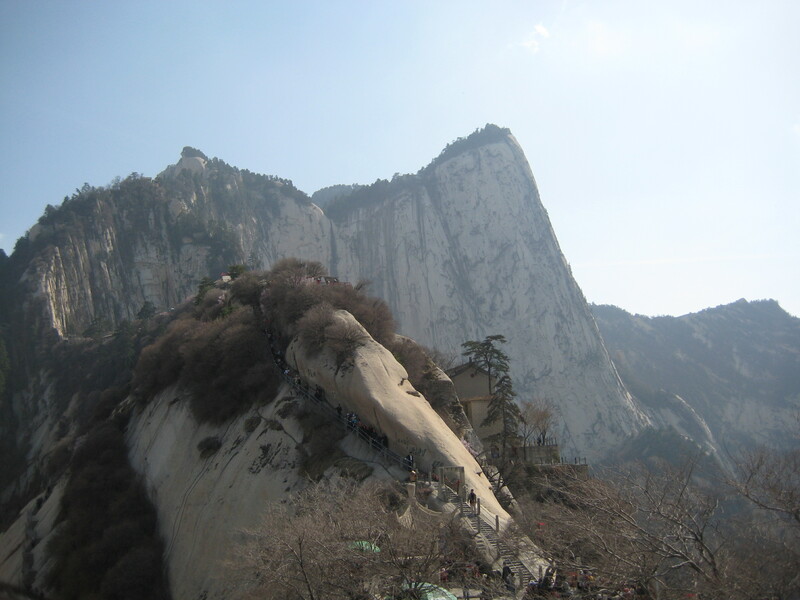 Today we decided to go to Huashan – we had enough of the history and wanted to see nature and what China has to offer. 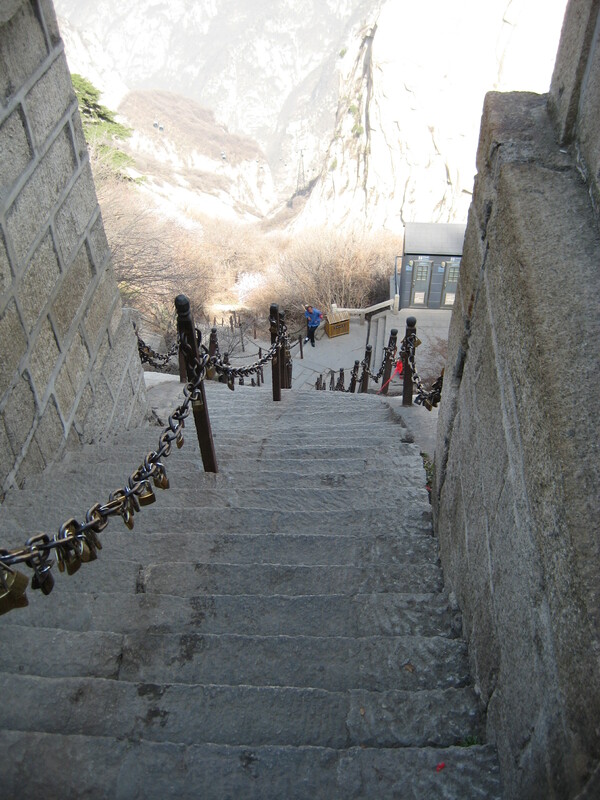 Huashan is a good 2 – 3 hours drive away from Xi’an, about 120kms away. 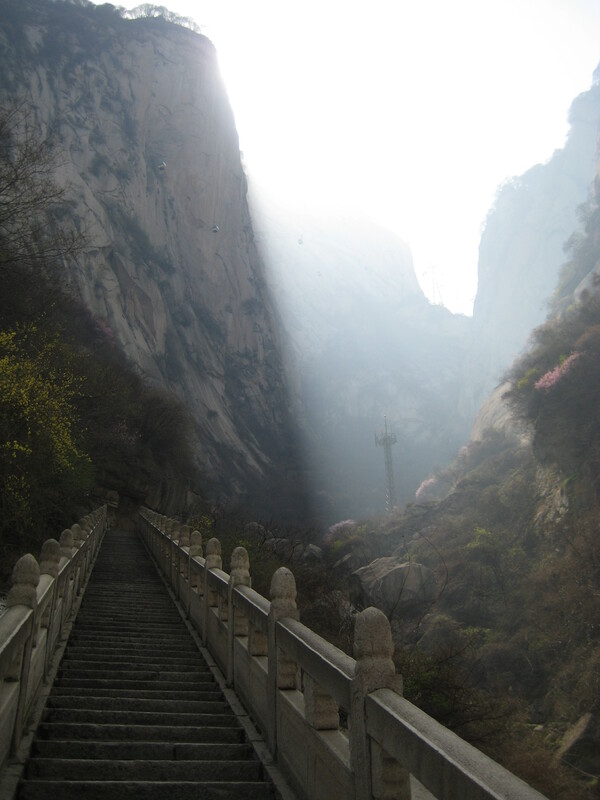 Mt Huashan is known as ‘the number one Preciptious Mountain under Heaven’. 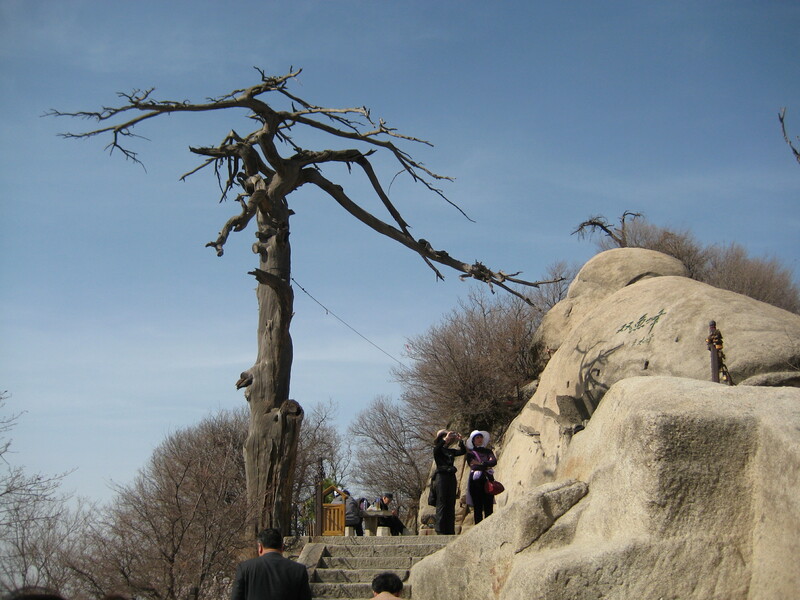 We arrived near Huashan about 1pm and believe it or not was quite pekish! So we ate at one of the local restaurants there. 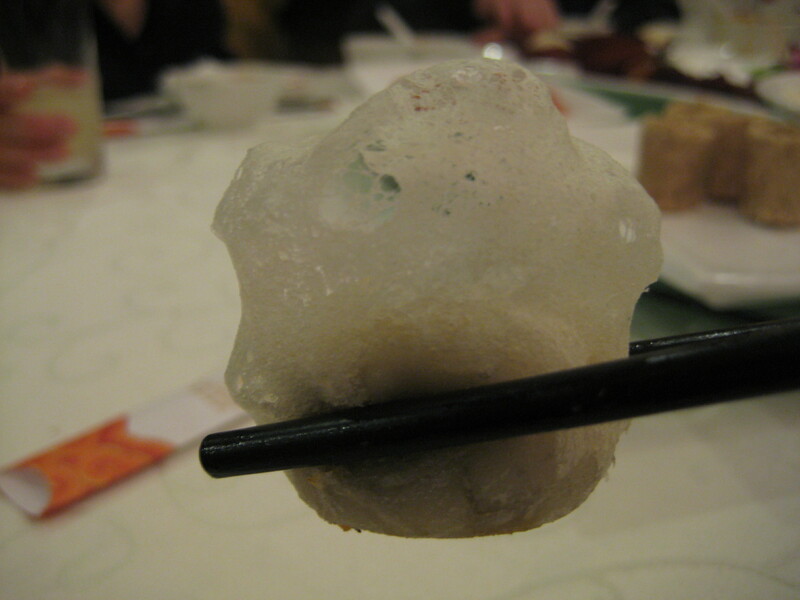 I have to admit – the food was extremely ordinary – so not sure if its worth writing about it! 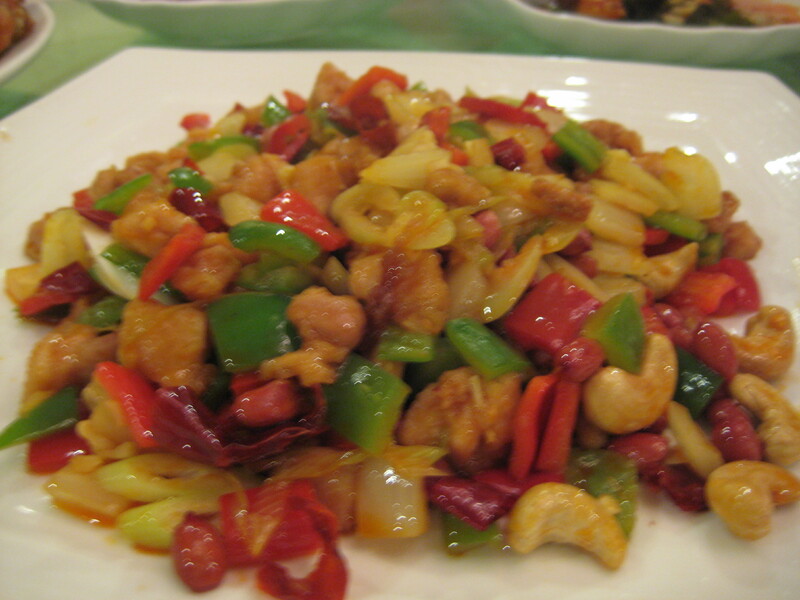 We had sweet and sour pork, stir fry spinach and soup which were all below par. It was just so unsatisfying! 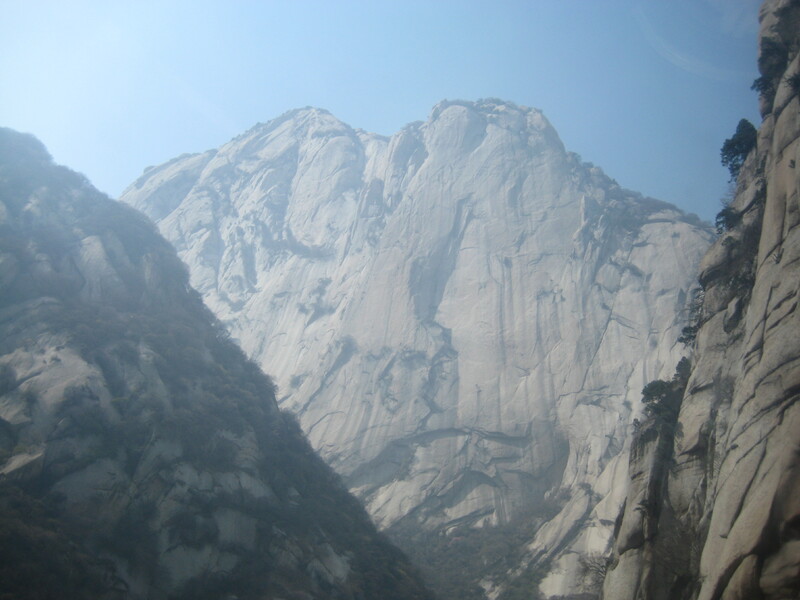 Anyways, back to Mt Huashan. The driver couldn’t take us up to the mountain as no cars were allowed in, so we caught a bus and then a cable cart to one of the peaks. As I was with my family – walking was just not an option! They weren’t keen on the idea of walking 2.5 hours to the top so we caught the cable cart. If Hubby was with me, we would have DEFINITELY walked up! Here is the start of the stairs… I was tempted to go up on my own but that probably wouldn’t be a smart move. Here is the view from the cable cart – it was quite magnificent! We did have to walk these set of stairs to get to the top though… which was quite easy I thought, but the family seemed to have struggled! The mountain has five main peaks, of which the tallest is the South Peak. We only went to the North Peak, which was the lowest of the five peaks. From here you can see a series of paths rise up to the four other peaks, the West Peak, the Centre Peak, the East Peak and the South Peak. It was good to get out of the hustle and bustle of the city and enjoy nature. The air was fresh and the scenery fantastic! Bit out of the way but a must see if you are ever in Xi’an. 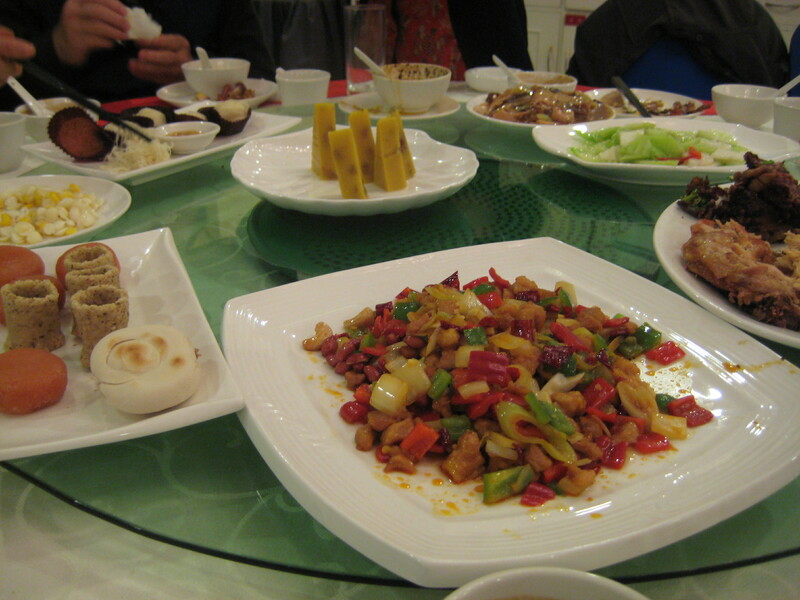 We arrived back in Xi’an city late at night and were seriously ready for some food! 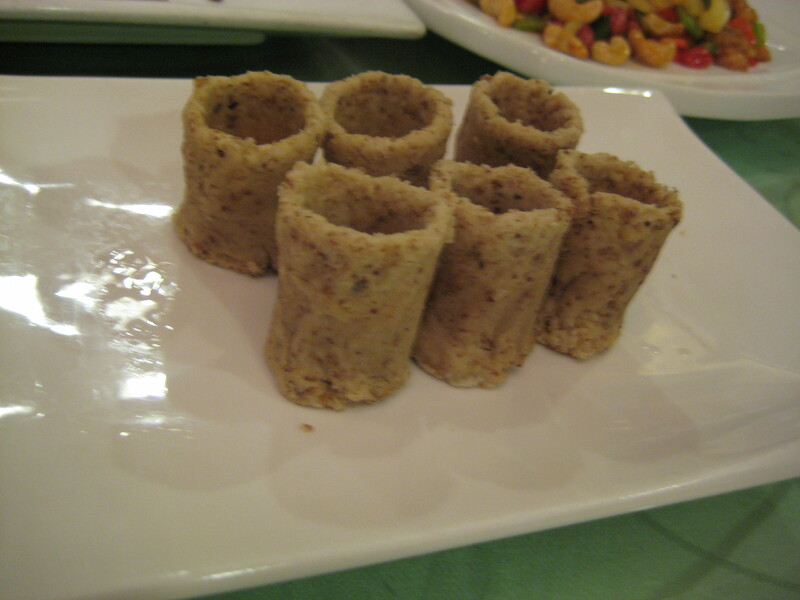 Our driver took us to this restaurant which served traditional Xi’an food. After a disappointing lunch, I was absolutely ready for something GOOD, more than just ‘good’ food actually and this place did not disappoint! It was a set meal, for about 10 ppl, which consisted of 6 entrees and about 8 main meals – I kind of lost count with all the different types of food! 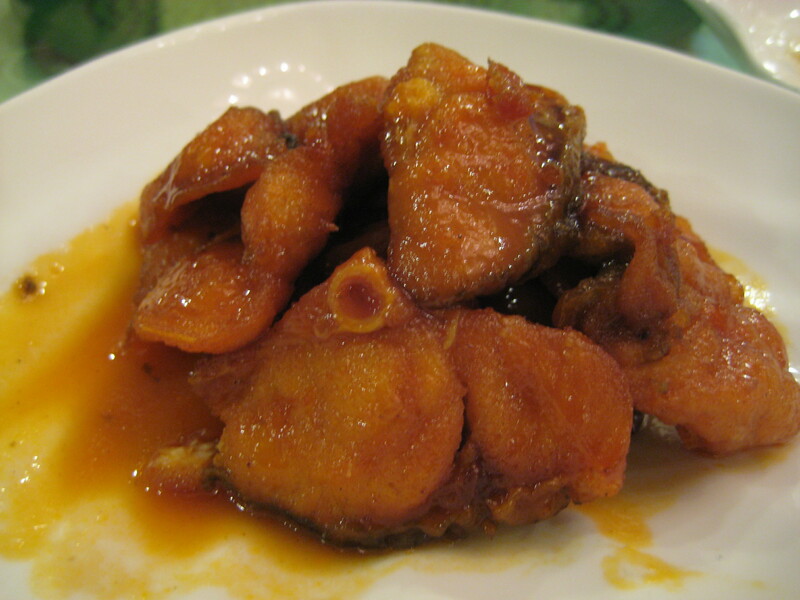 We started off with these fish fillets – which was served warm and with sweet and sour sauce. It was surprisingly tasty! Then these mixed vegetables which was refreshing. 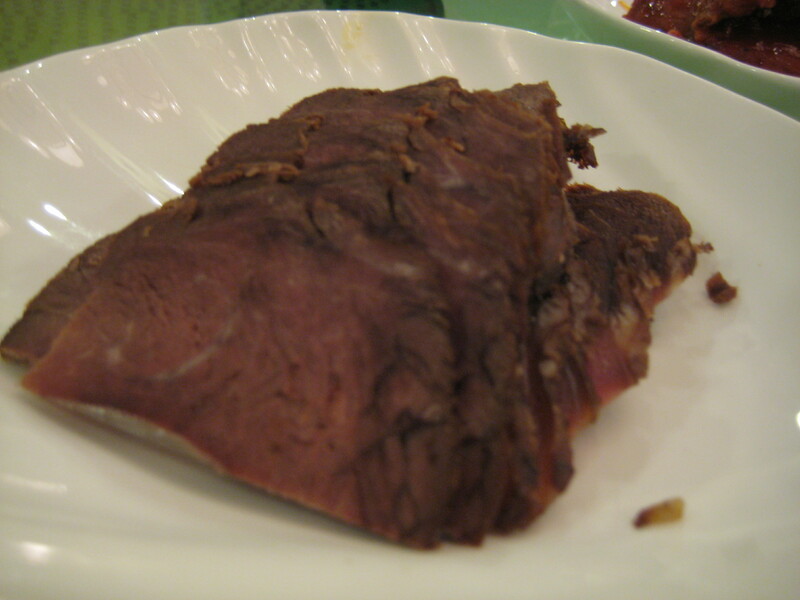 Traditional Xi’an beef – tender and moist – it was extremely flavoursome! 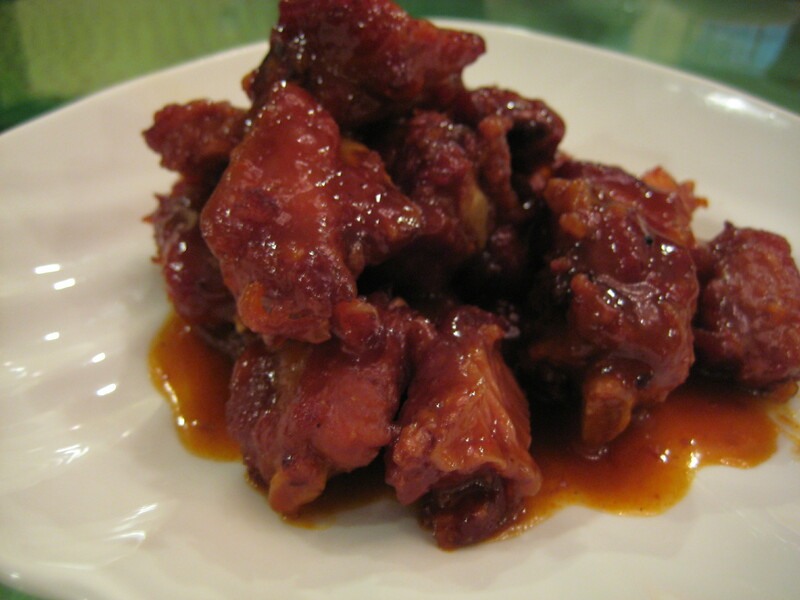 Pork spare ribs – these were served cold which I thought was a bit weird but was indeed meaty and tender. 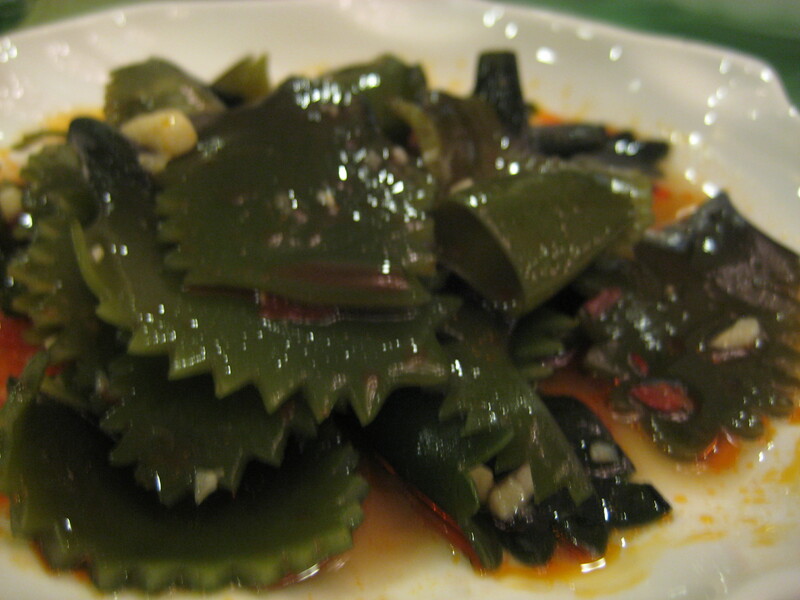 Xi’an vegetables (not sure what it is called) but I thought these tasted a little rubbery. It had a lot of flavours though which was good. 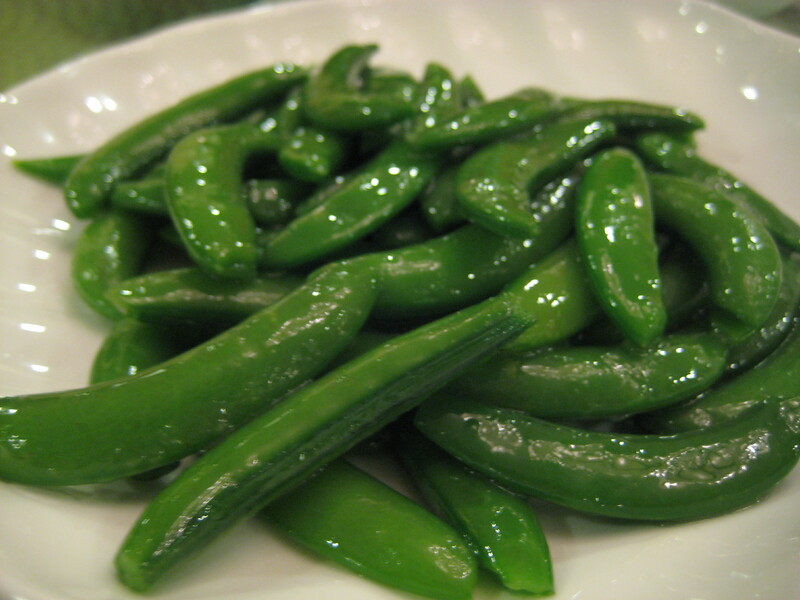 Honey snap peas – a favourite of mine! It was crunchy and a tad oily but TASTY! 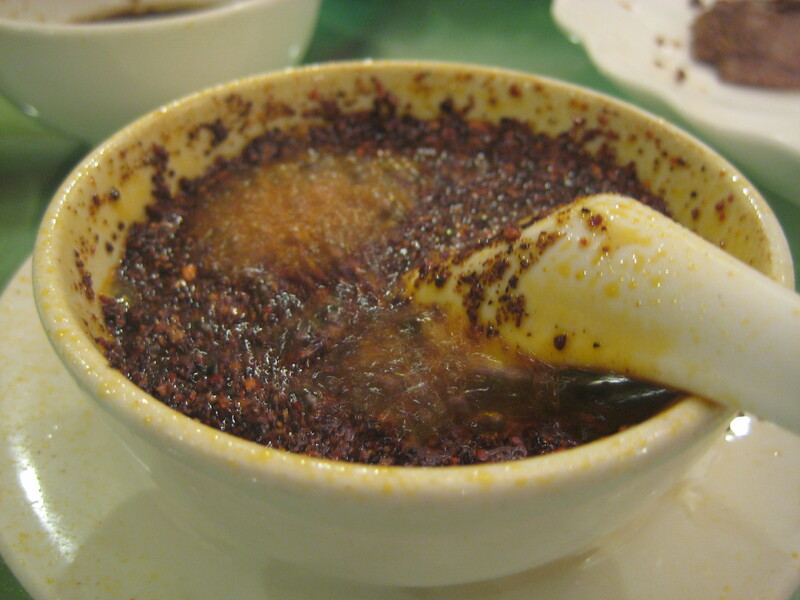 This believe it or not is not soup but CHILI! It wasn’t as hot as I thought but it was incredibly yummy! 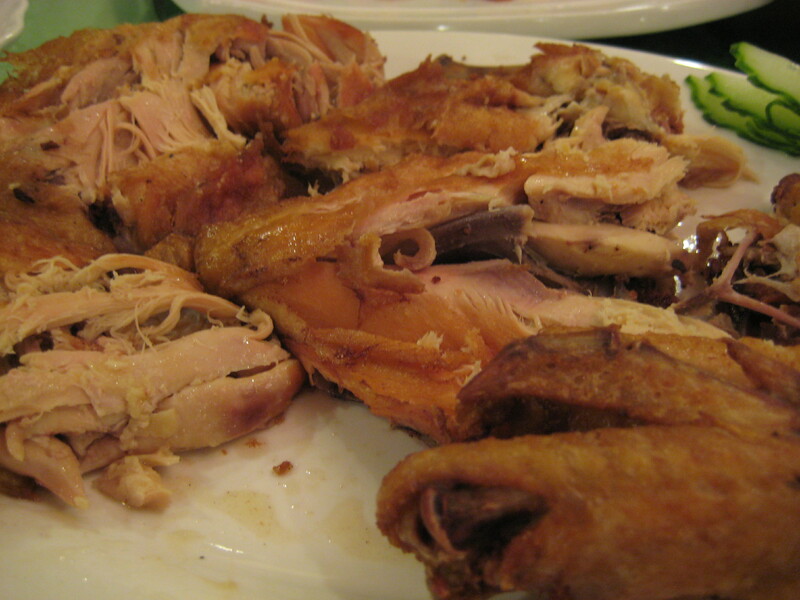 Main courses: fried chicken – skin utterly crispy, and meat succulent. 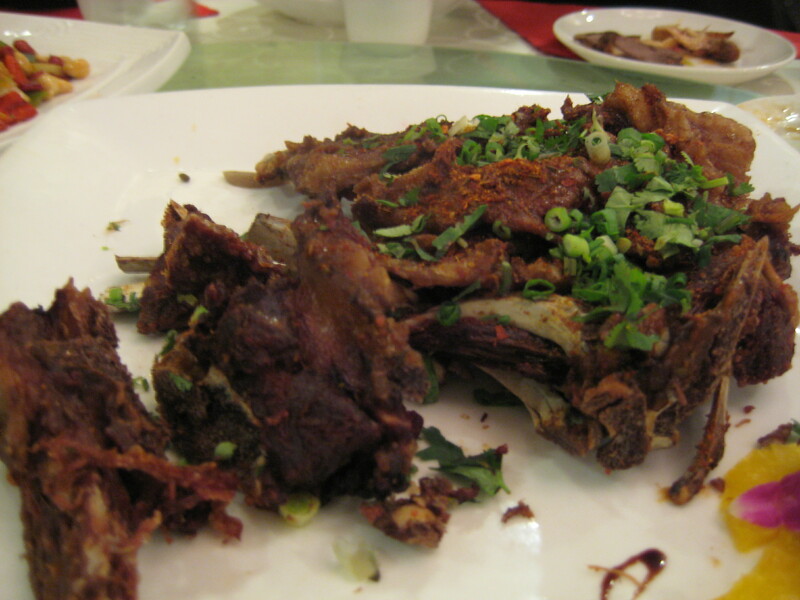 Curry Lamb – deep fried – I didn’t enjoy this – only cause I don’t appreciate lamb as much as the others! 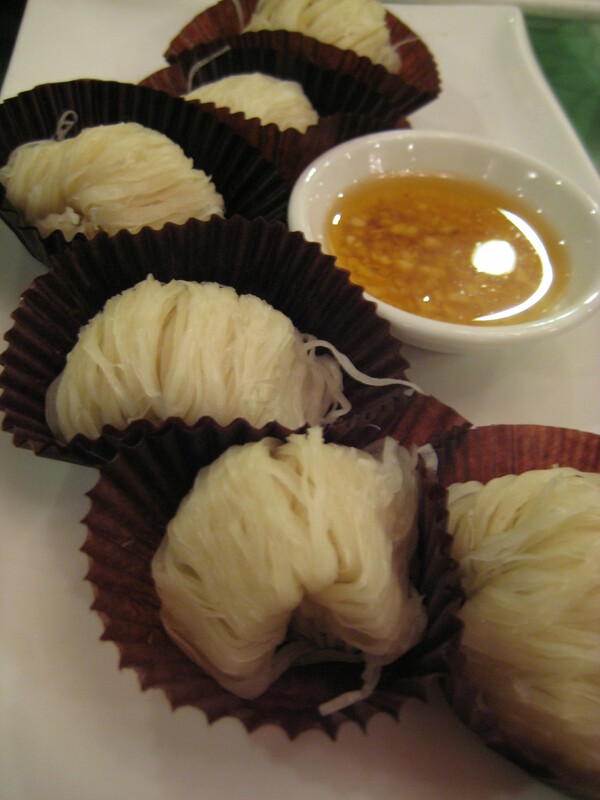 Rice noodles, supposed to be eaten with the sauce – I didn’t have any of this as I wanted to eat others, but F thought this was very very good. The below was rice – again I didn’t try this as it didn’t look very appetizing. Dad said it was ‘nice’ – not a man of many words! 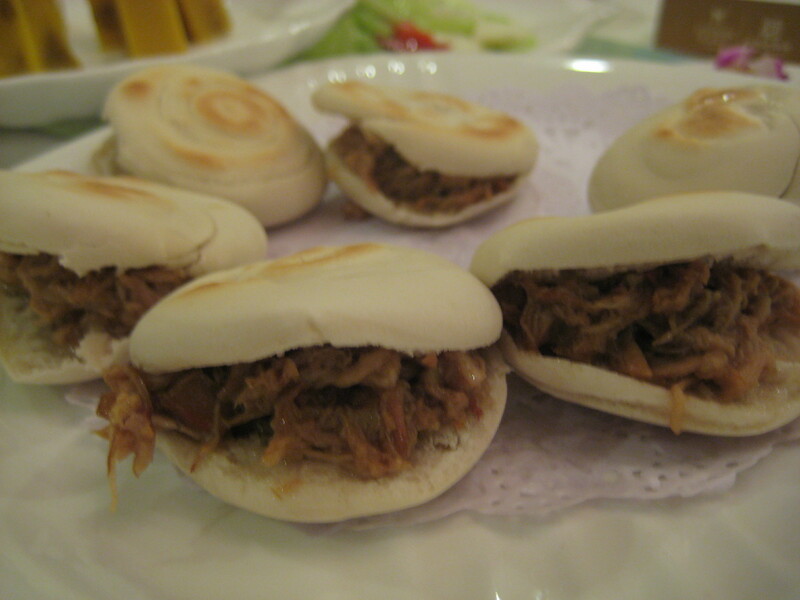 Shredded pork with man tao – this was a favourite of mine. Pork was tender and succulent, and the man tao was soft. Next came the soup – this was incredibly tasty… it had full of flavour. 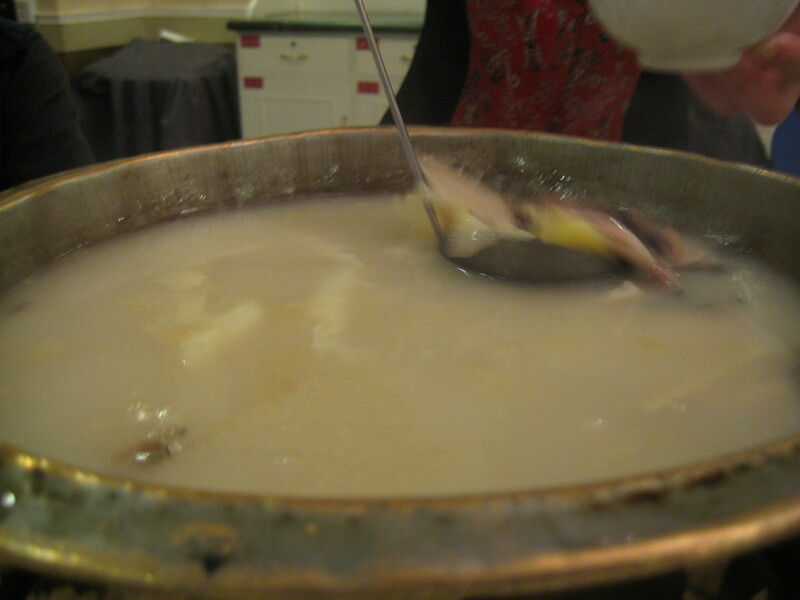 Fish soup – although there were a lot of bones in the fish which was a pain. We also had celery stirfry which I didn’t take a photo off but it was refreshing! 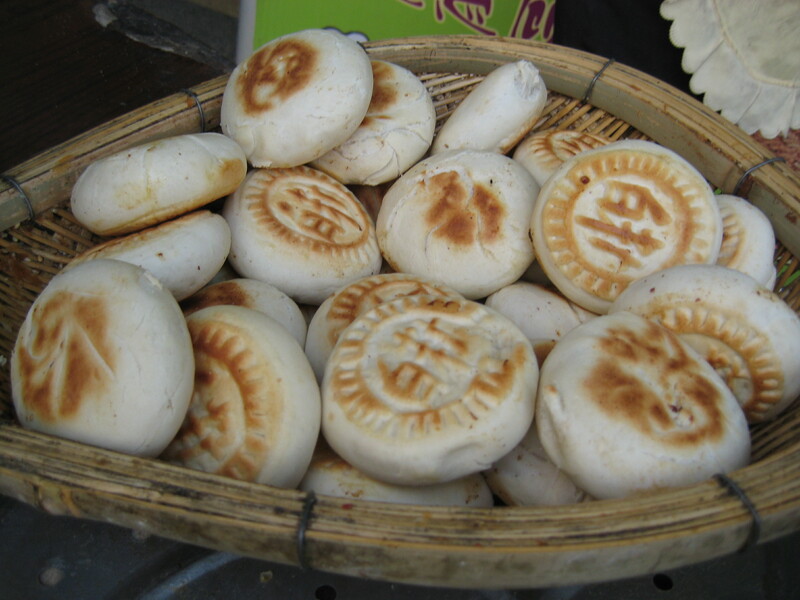 Dessert: this is Xi’an’s most famous dessert – handmade – its red bean and the pastry were thinner than a piece of paper. It really just melted in your mouth. 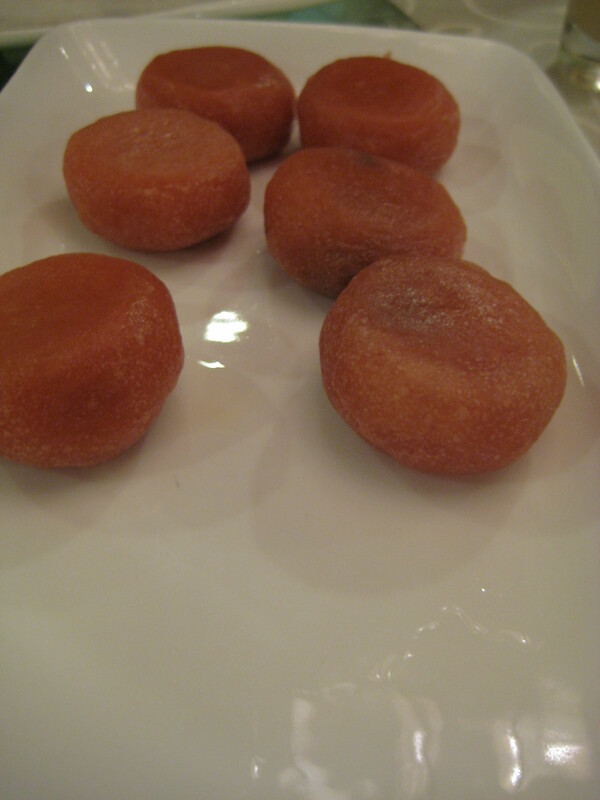 It had the right amount of sweetness to it and was one of my favourites! I could easily have eaten more than one! 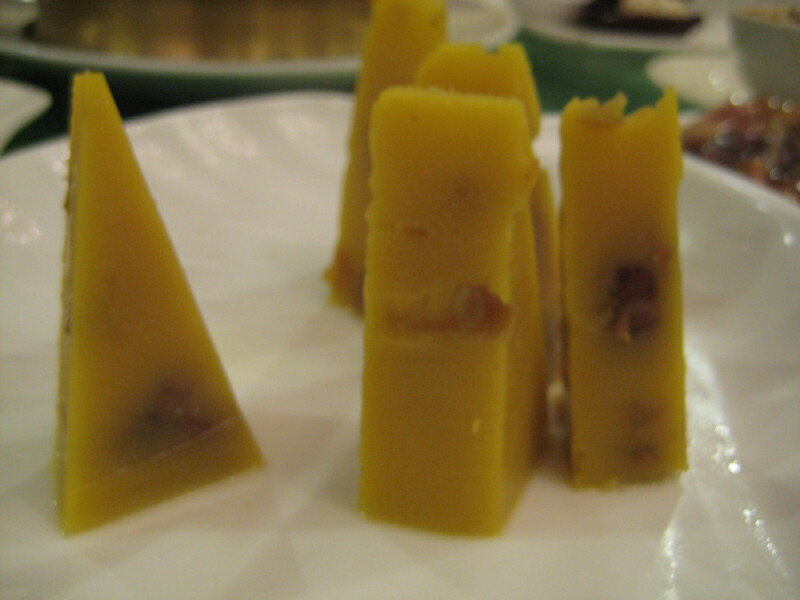 Chestnut pudding – this was not a favourite of mine. I had a bite and had to politely put it away. It was too gooey for me, but my parents seemed to have enjoyed it! 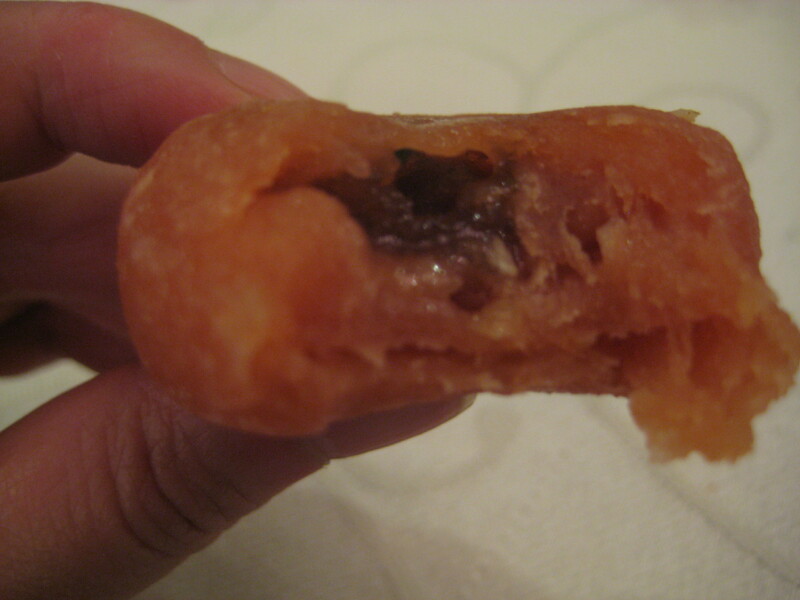 Another dessert that I enjoyed – these red bean fuji apple thingy – the outer layer is made from fuji apple and the inside was extra sweet red bean. It was unbelievably sweet! Eating this made me go beyond full… I was beyond stuffed.. I was about to burst into tiny pieces! Clearly we didn’t finish everything – it was virtually impossible to finish it all really! It was a meal for 10 ppl, and there were only 6 of us! Thankfully, we could ta pao (doggy bag) and E took it home for his family! We all waddled out of the restaurant, believing that we have all gained about 2 – 3 kgs from this trip! We thought about going for a walk around town but when E suggested a foot massage how can we say no? So we all got one. I’m not usually big on reflexology – for me – it HURTS!! But surprisingly it was really good and I really enjoyed it! It was certainly a great way to end the trip. We got back to the hotel a bit before midnight, and like the night before, crashed and missed my alarm again in the morning! We didn’t really wander around Xi’an city itself. It was a jammed pack weekend, full of history, sightseeing and eating! I, for one, didn’t want the holiday to end but was missing Hubby and Hong Kong! The flight back wasn’t as bad as I anticipated. I fell asleep… again! As much as I love to travel… it was definitely good to be home!